The newly renovated West Financial Banquet Hall, with it's modern and tasteful interior design, is perfect for business meetings, conferences, wedding receptions, birthday parties, anniversary celebrations, graduation festivities, and private events. $50/hour $400 for full day rental. 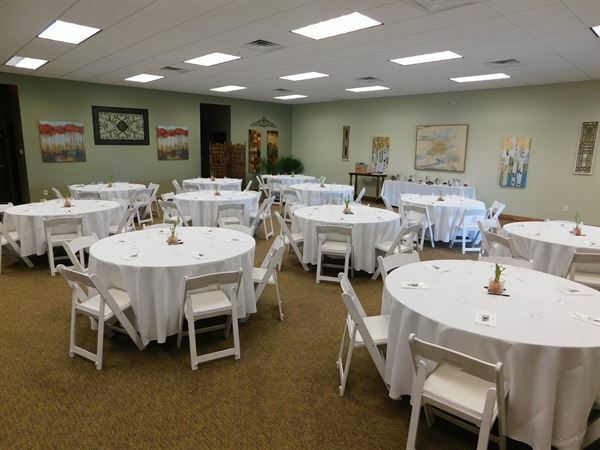 Cost is for the event space only and does not include tables or chairs.